Deadliest Warrior DLC is Finally here! 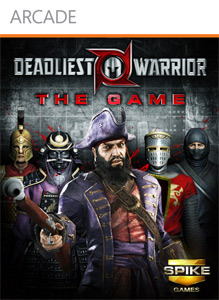 The long-awaited DLC for Deadliest Warrior featuring new fighters voted on by fans is here to play. Dubbed the 'Deadliest Warrior: DLC Expansion Pack 1', the pack offers three new fighters alongside a new game mode to play. "New DLC content featuring 3 new warriors, a new game mode, replays, titles and new taunts for all your characters!"